Thrifty & Easy DIY Easter Baskets! 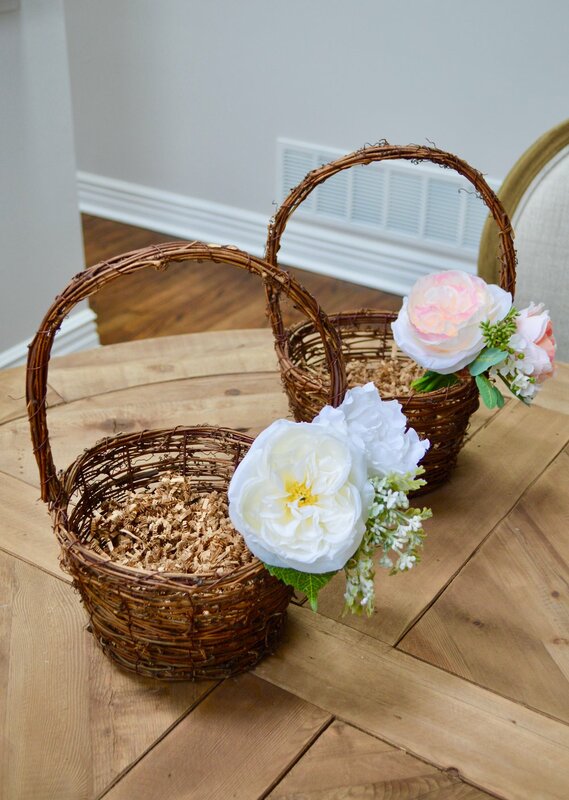 You can find everything you need to make the perfect basket at your local Dollar Tree, Goodwill, and/or Michaels. However, this time around, I purchased everything (aside from the decorative shred) at Michaels since they were all on clearance. 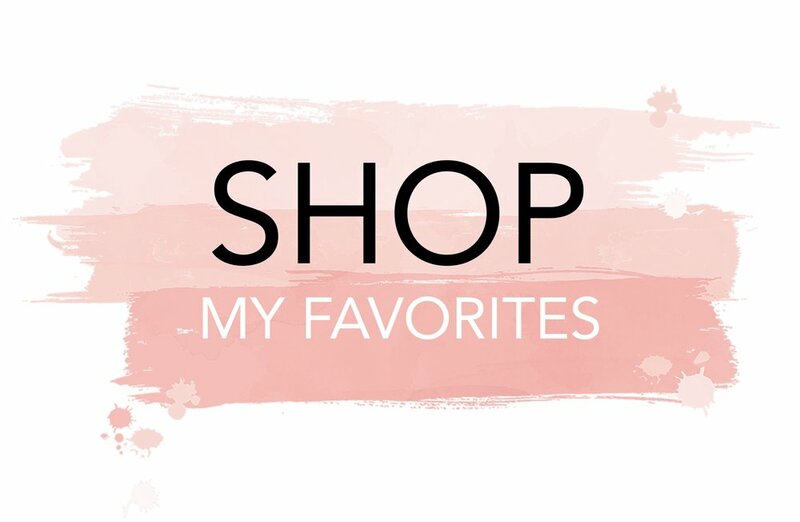 Also, I found a coupon for an additional 20% off my entire purchase, including sale items 🙌. Step 1: If your silk flowers come in a bunch or bouquet, separate them to your liking. I decided to create mini bouquets with two flowers, one piece of greenery/accent florals, and one leaf that I later used to help conceal the hot glue and/or any unfinished edges. 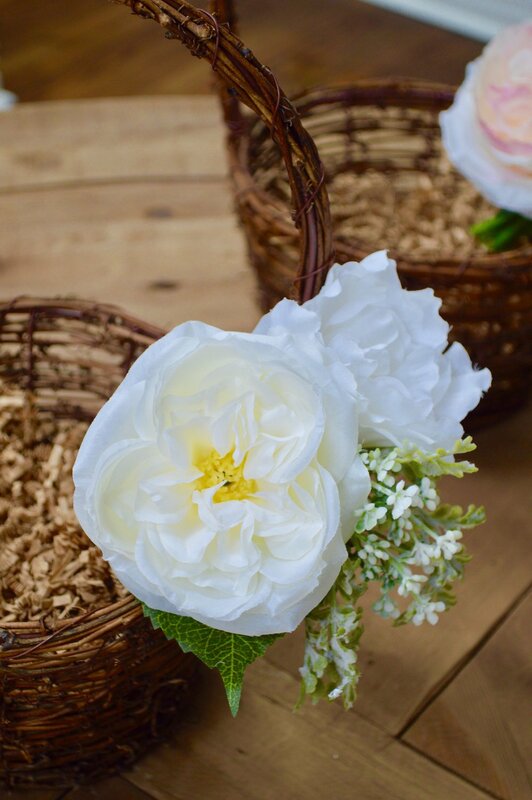 *** TIP: Before cutting or gluing any of your flowers, position them on your basket to get an idea of what the final arrangement will look like. Step 2: Once you have decided which flowers you would like to use for your arrangment, cut the stems using your wire cutters. I left about three inches so that I could tie the flowers in the arrangement I decided on. I used the paper tie that came with the original bouquet to secure the flowers and greenery together. A rubber band or string would also work for this. Step 3: Using your hot glue gun, glue your arrangement to the basket. I glued mine directly on to the basket handle. Once the glue has dried, glue your additional green leaf to the back of it to conceal the hot glue and tie it all together! 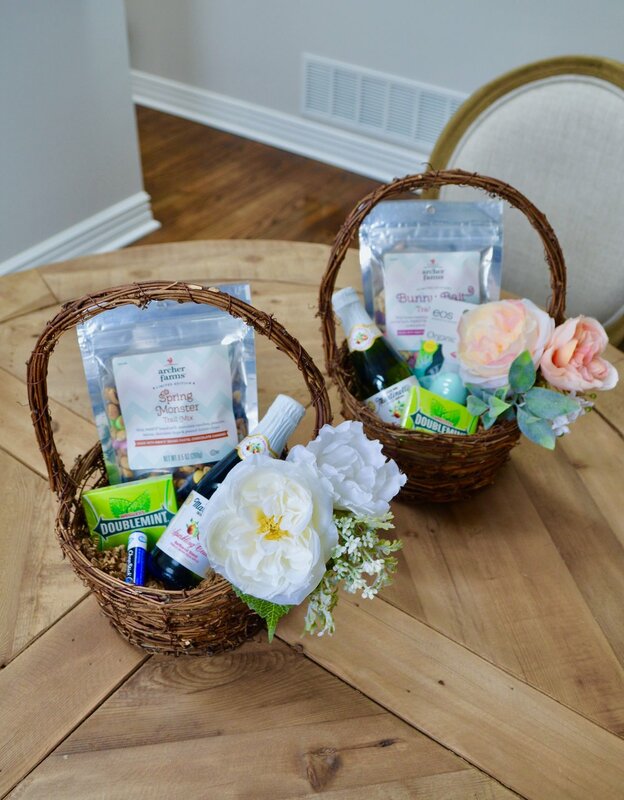 Step 4: Add your decorative shred and fill your baskets with whatever goodies you would like! Here is the final product! I am so happy with the way these baskets turned out! I found the cutest bottles of sparkling cider at the Dollar Tree and a spring themed trail mix at Target. I also decided to add some useful goodies like chapstick and gum. I hope you enjoyed this post! If you decide to give this fun, easy, and inexpensive project a go, I would love to see how your baskets turn out! Tag me in your DIY basket photos on Instagram -@GardeniaGrove. As always, thank you so much for stopping by! I hope you have a beautiful and blessed Easter Sunday!